Don’t you wish life was an easy as a comfy knit dress?! 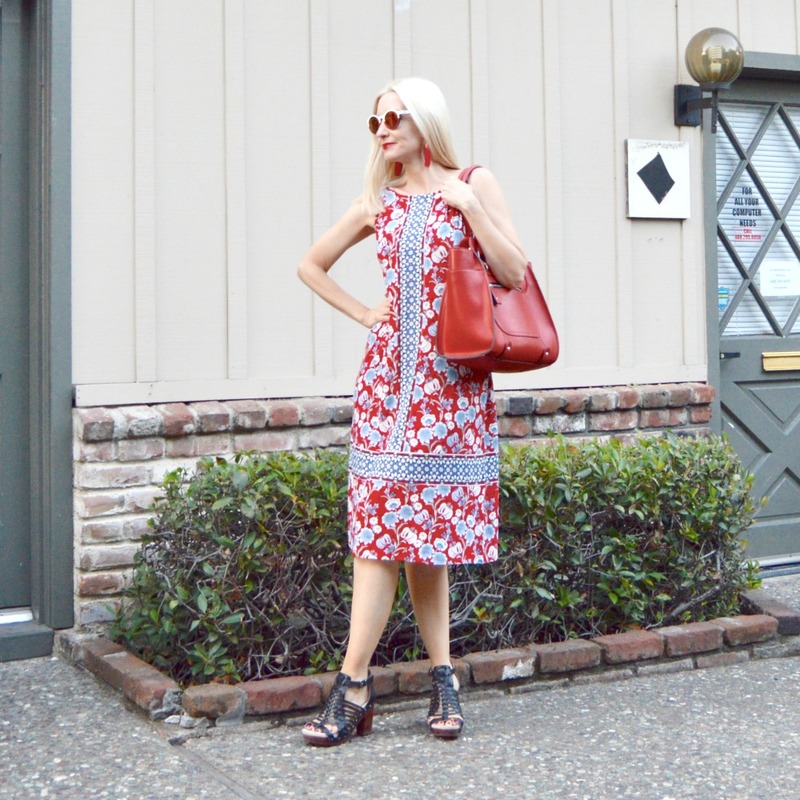 J.Jill gave me this dress to wear and review. All opinions are all my own as always. I’m all about the midi length and the A-line cut glides easily over … ummm … generous hips. I’m wearing an XS and it’s perfect. I would suggest sizing down one size in J. Jill. And I’m loving this floral pattern with the pretty borders. Goodness knows, I always LOVE red! Bag – London Fog (old) – Love this one. I’m thinking of wearing this on the second day of school this year. What do you think? It seems like a no-brainer for a great teacher dress … pretty, comfortable, modest, wrinkle-free, and unfussy. For those of you who follow along on Instagram, I’ll be sure to try to do a quick IG story to let you know how the first day of school is going! 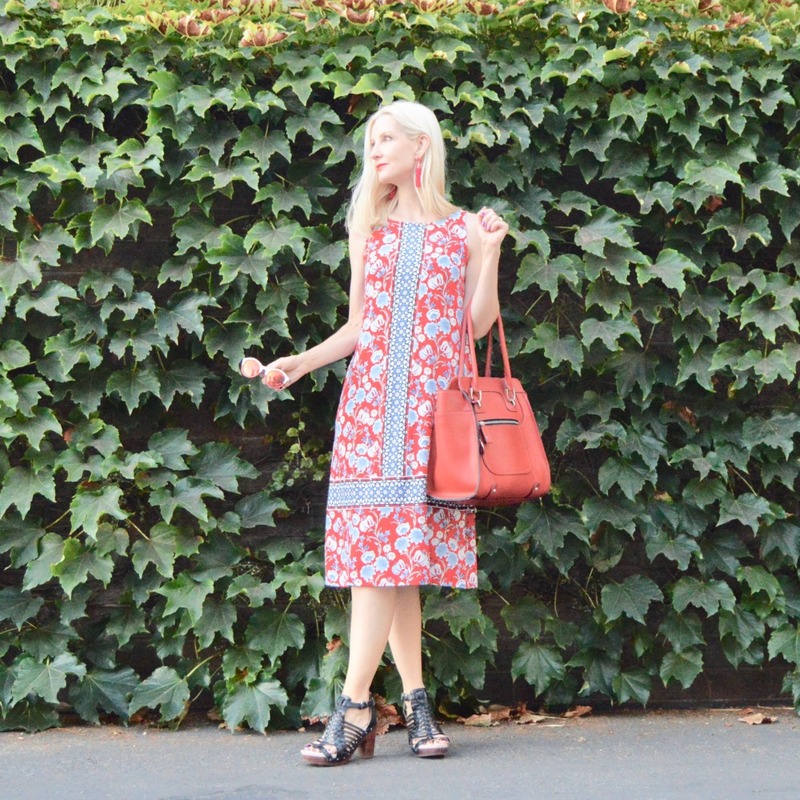 Want more ideas for great easy-to-wear dresses? How about this pretty floral from J.Jill and this new print from Karina? It looks a comfortable easy dress. Great length on you. I love an a-line dress and anything midi length. Gorgeous lady! Love this dress on you! Great fit and color..perfect for school! Fabulous! Love the bag and the earrings. I think I also would like the dress with a long cardigan! 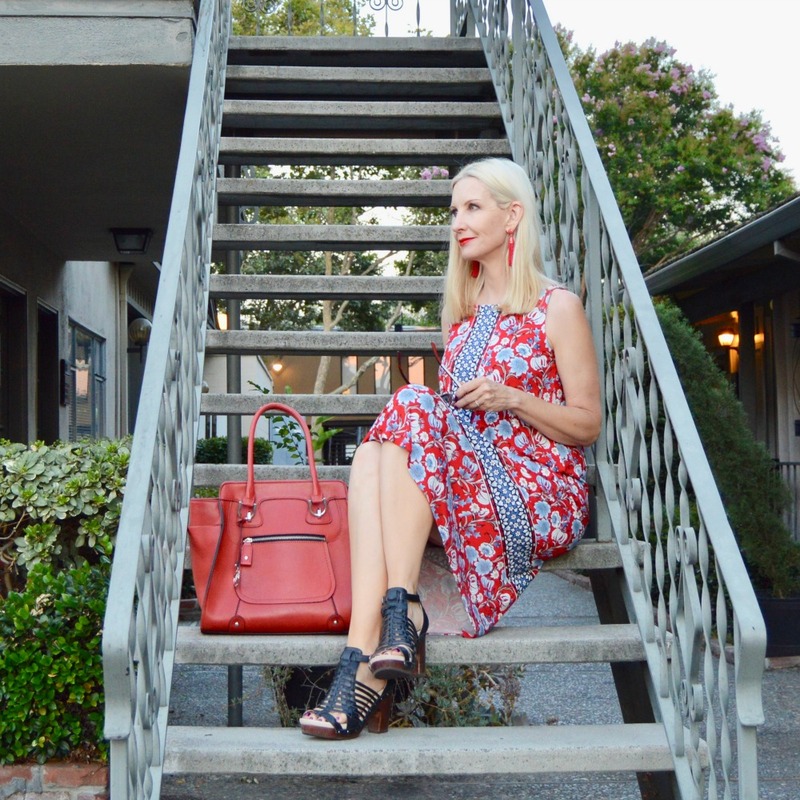 Thanks for joining the Top of the World Style linkup party with your awesome outfit. This dress is very pretty. On first view, one wouldn’t recognize it as a knit dress. These pics are great and I love that purse!! Of course the whole outfit gets five stars, as you continue to live up to your blog name – FUN fashion! 🙂 Thank you for linking up with the Thursday Moda.